Air Purifiers While much is made of the smog and air pollution outdoors, the EPA has ranked INDOOR air pollution as the nation?s worst environmental health problem. In most cases, it is 2 to 10 times worse than outdoor air pollution. This is especially bad news for allergy and asthma sufferers as most people spend about 90% of their time indoors. Since moving into a tent in your backyard isn?t very practical, we offer this solution?the BlueAir 250E Air Purifier. 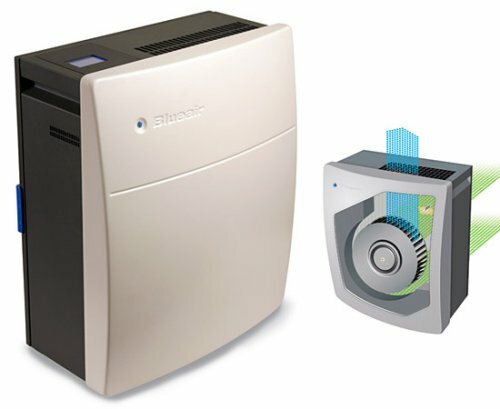 The BlueAir 250E uses HEPA Silent? technology, a combination of the best features of electrostatic and mechanical filter technology that allows delivery of more clean air, at a faster rate, with less noise. This air purifier is also among the most energy efficient and quietest in its class, with a room capacity of 200 sq. ft. The 250E also comes with an easy to use remote control and digital display system that gives instant feedback of particle detection, speed, and timer operation. Breathe easier and breathe cleaner air with the BlueAir 250E Air Purifier.